It&apos;s a total eclipse of the heart...land! It’s also a once in a lifetime opportunity and Omaha is your gateway to the big show in the sky. 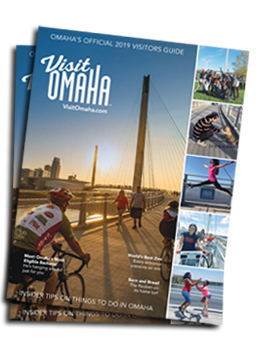 An hour away from some of the best viewing locations, Omaha is your first stop for this bucket list event. Fly in or drive in and choose from one of Omaha’s 80 hotels. There is a hotel to fit every budget – click on the &apos;Book your Room&apos; box below to see room rates during your visit. Continue browsing for Omaha activities during your eclipse getaway (some are also bucket list-worthy). Looking for tour options? Click here for a special package. Connect with us on Facebook, Twitter, Instagram, or by email for more help planning.